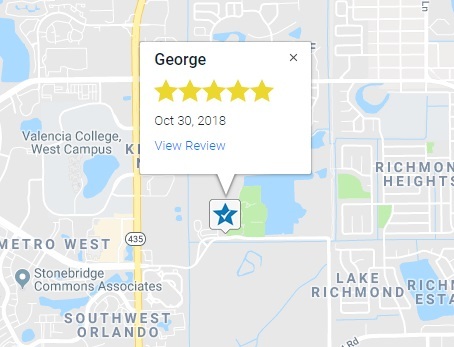 Review Maps are available starting on our Ultimate Plan. With the introduction of our Customer Location feature in October 2018, we wanted to give you the ability to track trends overtime with the customer's location. This data will allow you to correlate review content to the location overtime. The map on the left side is generated by Google, which allows you to zoom out / zoom in, and pan around to see new locations. When zoomed out (such as the example above), you will see groups of reviews which are indicated by the color. When zooming into any one of these locations, you will eventually see TrustSpot Icons, which when clicked on, will tell you information about the Customer. If you click "View Review", it open the moderation page and bring you to that customer. You can change the data shown in the map by selecting the Date Range at the top right. The map will automatically update to show you the new groups of reviews. The table on the right represents your popular review cities of all time. This allows you to better understand customer changes at scale to help with marketing efforts to certain areas or even countries. 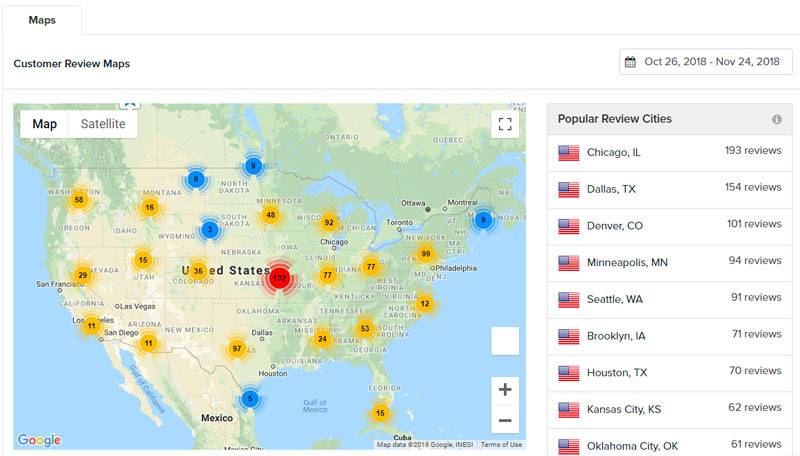 By default it will display your Top 10 most popular review cities, with the ability to click the arrows at the bottom to see more results. This table is always adapting as new reviews come in to your account.